We know there are a lot of business trying to be like Apple including Samsung. But you might not be surprised with this store, if you saw the fake Chinese Apple store that was reported last month. Now another one of this fake store has been spotted in Sulaimaniya, a city located Northern Iraq. The Chinese fake Apple store deserves some credits, at least they were selling Apple products only. 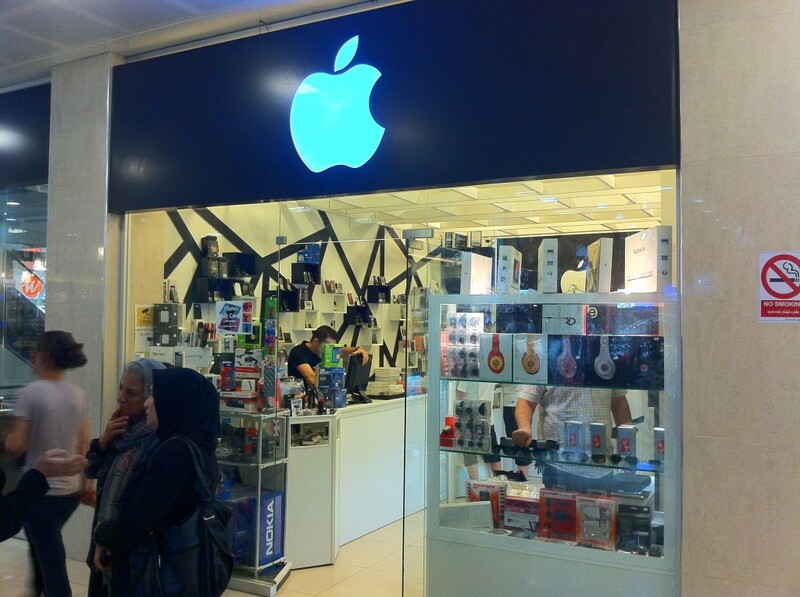 From the photo we can see that this particular fake Apple Store sells watches and even sunglasses. You can also see the big Nokia box at the bottom left corner.